My dentist sold me da Vinci crowns for my front teeth. He said they had to be made by da Vinci in California because they had found they did the best work. I waited a long time and they finally said they had come in the mail, so I went in that day to get them placed. Anyway, they weren’t happy with them and said they were going to have to get them worked on a little. To my surprise a “man from the lab” showed up in the door to take the teeth and work on them. I saw him. Now I am in Tennessee and the lab is in California. I don’t think he flew in that fast to work on my teeth. Why would the sell me da Vinci teeth made only in a lab in California then have the work done in this area? This area has never made any teeth that suited me. I told them that. Damn. I think I have a problem no matter what you tell me! It does sound like there is some funny business going on here. While it is possible that your dentist had the laboratory work done at da Vinci and then had a local technician do modifications, that doesn’t seem likely to me, since the local technician would charge extra where da Vinci would make adjustments for free. But your question gives me an opportunity to say something about dental laboratories in general and da Vinci Dental Studios in particular. When I was practicing in Iowa and was getting into top level aesthetic work, I tried to find a dental laboratory in Iowa that would help me create beautiful smile makeovers. I couldn’t find one, so I ended up sending my smile makeover work to da Vinci. I did that for several years, but at one point it seemed to me that da Vinci was going through some upheavals, so I switched. Uri Yarovesky was one of the partners at da Vinci, and he split off to form his own laboratory, Opus One. I began sending my work to him, and was extremely pleased with the work he and his associates did for me. In my opinion, the vast majority of dental laboratories don’t have ceramists with the artistic talent required to create a beautiful smile makeover. But I wouldn’t say that da Vinci is the best in that department. Yes, they are very good. And they have a name that lends itself to their branding as a dental laboratory that produces beautiful work. But they are a large laboratory, and not every ceramist there is what I would call a master ceramist. During the years I used them, while most of their work was truly beautiful, I got some cases from them that I wasn’t happy with and had to send back. And the very best cosmetic dentists usually have a very close relationship with a master ceramist working out of a small dental laboratory. And I will add that those master ceramists often have fees considerably higher than da Vinci. Back to your situation. There are some very mediocre cosmetic dentists who advertise that they place da Vinci crowns and veneers. As I said, da Vinci is a fairly large dental laboratory and, unlike some master ceramists, will accept work from just about any dentist. Don’t be fooled thinking this is going to give you a beautiful smile. It’s not that easy. A great dental laboratory cannot make up for the deficiencies of a mediocre dentist, which is why many master ceramists are picky about the dentists they will work with. Larger labs like da Vinci are also picky in that their top ceramists will work with the big name cosmetic dentists, and they will refer the “lesser” dentists to their other ceramists. Bottom line for all our readers—if a dentist advertises that he or she places da Vinci crowns or veneers, take that claim with a grain of salt. Not only is da Vinci no guarantee that you’ll end up with a beautiful smile, it sounds like you don’t even have a guarantee that the dentist will actually send the work to da Vinci. 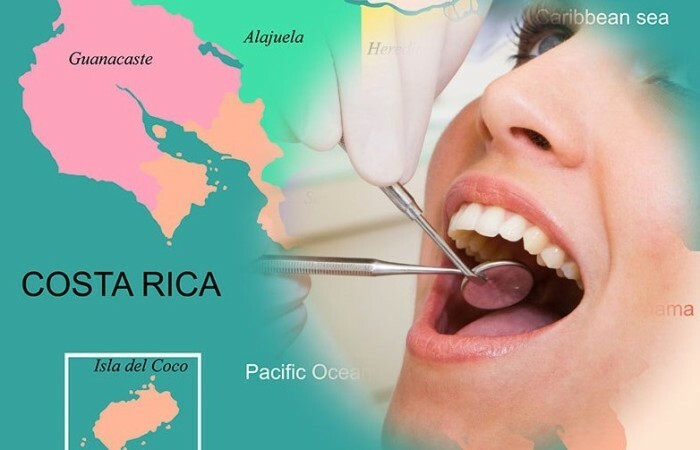 I’ve written before warning about getting dental work done in Costa Rica. But I just became aware of an incident that truly highlights the risks. Because I am only able to partially confirm this patient’s claims, I am not publishing the name of the dentist, which she had provided, only her story because it illustrates the risks in dental tourism. I went to Doctor [name withheld] at [name withheld] Dental Clinic just outside of San Jose Costa Rica for some dental work and to have porcelain veneers placed. The dentist broke one tooth and caused me to need three root canals. He left me with ten open margins, I had crowns pop off, and he screwed up my bite so badly that I now suffer from severe TMJ, constant pain, can’t eat or speak properly etc… I have an estimate of $35,000 to fix my bite (which I don’t have) which doesn’t include the root canals. He refuses to refund the small fortune that I paid him and refuses to pay to have my teeth fixed. After my follow-up with an American dentist who said that I was the victim of criminal negligence, I hired a Costa Rican attorney. We were able to get three Costa Rican dentists to concur with the American dentist. We met at the Dental Colegio. But all that mattered at the Colegio board meeting was the fact that I complained publicly about Doctor [name withheld]. It was explained to me that it is a felony to speak against the reputation of a Costa Rican citizen unless or until that person has first been found guilty of a crime in a Costa Rican court of law. It did not matter that I filed those complaints online about the dentist from my own home in America. I had to flee Costa Rica immediately to avoid being arrested. As far as filing criminal charges or a lawsuit, my attorney told me that the dentist would just bribe an official and make the case go away. My only hope was with the Costa Rican dental Colegio and they cared nothing about justice. Their legal system in Costa Rica is very corrupt. There is no justice there for Americans. I also learned that this dentist didn’t graduate from a dental school in Miami as it claims on his website. He only took a class there. I thought I would just pass on Kimberly’s experience here, as there isn’t much I can do to help other than to help publicize her plight. I did look up the dentist she mentioned, and the website looks very inviting and gives you the feeling that you’re going to get wonderful care. The credentials presented look legitimate. However, as a dentist, I noticed some red flags that I think would escape the normal patient. For example, this dentist claims to have had a minor in implant dentistry from Miami University, as Kimberly mentioned. But there is no such thing as a minor or major or any organized course of study in implant dentistry at any American school—it isn’t a recognized specialty. He also claims to have a minor in Orthodontics and Prosthodontics from the DaVinci Institute. Besides the fact that this makes no sense—there are no “minors” in any dental field in the United States, only majors. And the combination of those two specialty areas in dentistry is made up. If minors did exist, he would have two separate minors—one in Orthodontics and one in Prosthodontics. Besides this, the DaVinci Institute is a think tank in Colorado. It may sound dental because of the famous DaVinci Dental Studio in California (a renowned dental laboratory that makes porcelain veneers), but there is nothing dental about the DaVinci Institute. Then, googling the dentist’s name and the name of his clinic, I discovered that the name of the clinic had been recently changed, a tactic used to escape a bad reputation. Also, there are no Google reviews for this dentist or his clinic, under either of its names, which is very strange. These are all red flags. But they would escape the typical dental patient. I also found another serious complaint filed against this dentist on the website ripoffreport.com. Bottom line: Beware! Just don’t do it. Both implant dentistry and beautiful cosmetic dentistry are risky enough in the United States. Don’t compound it by going to a place where you have poor standards of care and absolutely no legal recourse in case something goes wrong. Do cosmetic dentists have to be artists if they outsource their porcelain work? Dear Dr. Hall, How does one find a good cosmetic dentist that can do good bonding work? Most cosmetic dentist outsource their veneers and crowns to labs, but bonding is in the hand of a dentist. How do we filter the good and the bad? Does your list of referred dentist look at bonding work, in addition to veneers and crowns? Yes, the excellent cosmetic dentists that I recommend, for the most part, will also do beautiful direct dental bonding work. I say “for the most part,” because even some excellent cosmetic dentists don’t like doing direct bonding, but I would say that 90% of them do. But I’d also like to address this question about “outsourcing” of their porcelain veneers and porcelain crowns to labs, because some people have the mistaken notion that if it’s a great esthetically inclined dental lab, it doesn’t really matter who the dentist is because it’s the lab that creates the porcelain work. I guess they think of it like buying artwork from a gallery – it doesn’t matter which gallery you bought it from, it only matters who the artist is. But there are a couple of reasons that this isn’t true. First of all, a great dental ceramist cannot really work around a poor dentist to produce a beautiful final result. The dentist starts by preparing the teeth and planning out the case. How the tooth is prepared and the quality of the tooth preparation as well as the quality of the impression that is sent to the laboratory is critical to the success of the case. Then the dentist is the one who writes the prescription, giving detailed instructions about the shade map of the final result, the surface texture, the degree of translucency, a mock-up of the final result desired, and a lot of other details. And then when the work comes back from the lab, it’s the dentist who approves the work and decides whether the case is ready to be bonded onto the patient or needs to be sent back to the technician. No, while a great laboratory technician is required for a great final result, there is too much that the dentist does for the case for an artistic laboratory technician to be able to produce a beautiful result in spite of the dentist. Second, a dentist without a great artistic eye will not use the services of a great ceramist. Those services cost more, and it just doesn’t happen that you would get a “great ceramist – poor dentist” matchup. Oh, there are some dentists who are not very good cosmetic dentists who will use a name brand laboratory like DaVinci or Microdental in California to impress their patients, but those are large dental laboratories with large numbers of ceramists of varying levels of ability, and they will not assign their best ceramists to work with dentists whose work they perceive to be of lower quality. I’m sure it’s not something they talk about, but it doesn’t happen that way. So pick the artistic cosmetic dentist, and that dentist will assume responsibility for the quality of the final result. That is the way for a patient to get beautiful cosmetic dentistry. I had an interesting exchange with da Vinci Studios, a dental laboratory in West Hills, California. I have posted on my main website a page about da Vinci veneers where I was mildly critical in some respects. I had a time when I was practicing that they gave me beautiful results, but then the level of quality dropped off. It bothered them that I mentioned that they have some mediocre technicians, especially since my comments show up #3 in Bing when you search on “da Vinci veneers”. They offered me the opportunity to discuss any questions I may have about their business. I felt like that type of response demonstrated class, and I wanted to give them kudos for responding in that way. I do believe that they are a very quality conscious dental laboratory and I think they may very well have ironed out the quality-control issues that I thought were fairly serious at the time I switched from them. I still firmly believe, though, that a patient should not select a dentist merely because he or she uses da Vinci veneers. There are many excellent dental technicians who are very artistic and no one establishment has a monopoly on them. Besides, a dental laboratory cannot make up the difference for a dentist with no artistic ability who can’t communicate what he or she wants. A poor dentist plus a great dental lab equals a poor restoration. A great dentist with a poor dental lab also equals a poor restoration, but that great dentist will end up dumping the poor lab. As a dentist, I had a relationship with a local dental technician who was giving me excellent results, but then we took on a very challenging case that was beyond her ability, and she never could get it looking beautiful. So I cut my losses, and paid the extra lab fee to have it re-done. That is when I started using da Vinci. That is what excellent cosmetic dentists will do. They take responsibility for the final restoration and will stick with labs that give them beautiful results. That is how it works. The dental lab works for the dentist. If the dentist can’t envision the beautiful result, the laboratory can’t make up for that difference.